Is it time to restart your email program? With social media and instant connection through apps, it may seem that email marketing is becoming obsolete. 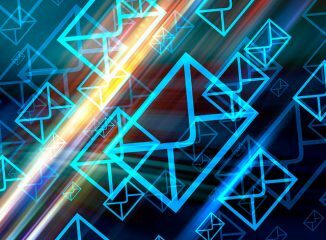 Consider these email marketing stats: Contrary to popular belief, email marketing stands as the 3rd biggest driver of sales in the online world. In fact, customers gained through email marketing and campaigning were 11% more valuable than the regular customer, in that they spent more time and purchased more of the services and products of a particular company. Here are three quick steps for restarting your email marketing campaign to ensure that you’re maximizing the success of your marketing campaign. Set up an Email Service Provider (ESP). An ESP is like a database for your email list, which can be used to organize, add, and connect with your clientele. Segment your email database. This is an essential step in your process of creating a successful email marketing plan. Since you don’t want to market to your customers in the exact same way as to prospective customers, this step is essential to guarantee that you are sending relevant information to the right groups. Content is still king! The success of your email marketing campaign relies on whether people open or delete your emails. By providing valuable, intriguing content, you can peak customers’ interests, paving the road for a successful and relevant email marketing campaign.